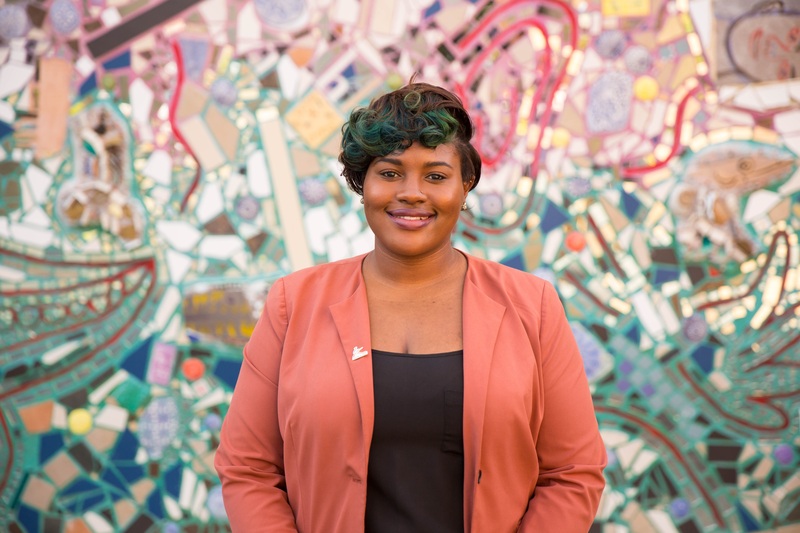 In July 2018, Youth Action announced the selection of Kiyana Neil as the new Director of Programs for Youth Action. Kiyana has been with Youth Action since 2014 and has been instrumental in the development of our organization. In many ways, Kiyana is what Youth Action is all about. What makes Kiyana stand out is her excellent communication skills,superb organizational skills, and her ability to think strategically about how we are impacting students in the program. She has such a warm spirit and her presence is enjoyed by all. We are super excited to have her in this position. In this role, Kiyana will be responsible for planning the delivery of the organization’s overall program and activities in accordance with the mission and the goals of Youth Action. She is now responsible for the supervision of all program directors, program operations including student/facilitator recruitment, reviewing programming standards, and developing new initiatives to ensure thatprograms are successful. She will also deal with larger communication to parents and students. Therefore, Kiyana is now the point of contact and lead decision maker in all program matters. YA students and parents should be in contact with their specific program director about concerns or Kiyana for larger program concerns/questions. Thus, the Executive Director of YA will focus on fund development, governance, partnerships, and strategic development of Youth Action. Kiyana‘s professional experience in youth & community affairs is impressive. Prior to this position, during her time in college Kiyana served as a facilitator with Junior Youth Action where she was named facilitator of the year for her awesome work as a JYA facilitator. After two years as a facilitator for JYA, Kiyana became an advisor to Junior Youth Action and later named Director of Junior Youth Action. Kiyana, a graduate of Drexel University in International Business & Marketing, is currently a marketing and sales coordinator at DemandLab, a marketing agency located in Jenkintown, PA. She has worked in marketing at Stadley Ronen and has held a managerial position at Saxbys. She is also an instrumental figure in her church’s worship community. This is a grand change, a good change, and needed change for Youth Action. We are so excited that Kiyana has accepted this role and we truly enjoy her passion for service to youth in Philadelphia. Working with youth makes her happy and it makes us happy that she has that passion. All of us at Youth Action are confident in her abilities to work with the other program directors to ensure that Youth Action has a very successful program going forward.